1989 was a watershed year for both the world in general and me in particular. I had just finished my PhD from the University of Texas at Dallas and had decided to break the jinx of the X+1 syndrome and return to India. Those who have been a part of the desi community in the US in the last century would recollect this strange yearning of those who had finally arrived in the US, not just physically, but metaphorically as well, to give it all up and return to India. Nostalgia for home, sprinkled with a sense of guilt for having abandoned it, competed with la dolce vita, the good life, that America held out to the F-1 visa community of graduate students and it was always that the good life that won out. Most of F1 crowd would eventually get the Green Card, permanent immigrant status, and then become US citizens but they would always keep alive the delusion that next year, X+1, they will wind it all up and move back to India. It was a delusion because India was still stuck in socialist quicksand, where the cost of a new car was twenty five times the monthly salary of a fresh IIT B.Tech, while the corresponding factor in the US was three or four! Did I feel a turn in the wind? Did I suspect that things in India could change for the better? Perhaps I did or perhaps I was just foolish, but armed with a large hearted offer from Tata Steel I decided to pack up and return. On the way back, my wife and I decided to use the $2200 windfall that I had just got by selling my Mazda 626 car to buy two tickets for a 15 day tour through Europe with the travel company Globus Gateway. Europe of course meant western Europe because the Iron Curtain of communism ensured that eastern borders could not be crossed very easily. Even within western Europe, we had to obtain seven separate visas for the countries that we would pass through. Nevertheless we eventually arrived at Paris on Bastille Day to realise that the world was celebrating 200 years of the the French Revolution. But little did we know that three months later, while we would safely be in Jamshedpur by then, the world would see the spectacular fall of something that is closer to us in history -- the Berlin Wall. The aftershocks of the fall of the Berlin Wall reverberated throughout the world and in a way led to the fall of India’s Soviet-era socialist economic model in 1991. Indians finally had the chance to participate in the global economy and today, the 2015 IIT graduate with his Rs 15 lakh placement package can finally think of a new car with only four months of his salary -- just as it was in the US in 1989! Some may of course wonder whether a new car is all that important for a fresh graduate but that is another question that can be debated elsewhere. This summer, my wife and I were back in Europe, with our son, and with no Iron Curtain in the way, we decided to go through the great cities of Eastern Europe. Did I see anything different? Not really. As a tourist you visit palaces and churches, ride trams, take cruises and eat, drink in pubs and bars that have not really changed over the years. But the real change that I felt was in me -- and by extension, in other Indians. This was a direct outcome of the economic reforms that were kicked off in 1991 by the beleaguered Government of India in a desperate attempt to stave off the socialism inspired bankruptcy. So what were these changes that I felt ? First was economic freedom. I had grown up in a upper middle class family in Calcutta, studied in a renowned school and were financially well off but my father could never dream of a family vacation in Europe! That was for “big businessmen like Tata, Birla”. This has changed. The emergent middle class in India can now think big as well, not just in terms of vacations but in most of the good things in life. No longer do we wait for our relatives to come back from foreign lands and hand out shampoo and soap! What is more important is that our currency is recognised internationally. Before 1991 the rupee was worthless outside India. Getting “foreign exchange” for even the most mundane and legitimate purposes, like paying for the application fees for a US university, was a titanic struggle with forms to be filled in triplicate. Any foreign exchange in cash or cash equivalent travellers cheques had to entered in the passport for subsequent scrutiny by vulturesque customs officers. Given the restrictions on getting foreign exchange and the meagre amounts that could be obtained -- unless of course you had the right connections -- travelling abroad was difficult. You had to think thrice before eating out at anything more expensive than a McDonald’s restaurant. But now our own Indian credit cards, issued by our own Indian banks are readily accepted anywhere around the world and this was a very pleasant surprise for me. Conditioned as I have been to moving around with limited amounts of dollars, and keeping track of every cent that I was spending, the fact that I could access an ATM and withdraw euros, zlotys, forints and karunas directly from my rupee savings bank account in India was something that took me quite some time to get accustomed to. The next big change is in telecommunications. I had grown up in an India where a phone was a luxury and one had to wait for years to get a connection. STD was unknown and trunk calls -- with variations like lightning calls and person-to-person calls, were hideously expensive. Long distance calls within US were quite reasonable but calling India from the US was frightful and one had to pay nearly US$ 5/ min for calls and that too when it was night in India. The first time I saw a fax -- it used to be called ZapMail -- was when the Swiss embassy suddenly wanted a copy of our air ticket before issuing a visa. Back in India, calling up my mother in Calcutta from Jamshedpur involved visiting a post office, standing in queue and paying Rs 100 in advance before the call could even be attempted. Mind you, it was attempted, not guaranteed to connect! Outside cities, telephones were impossible. I remember the wedding of a friend of mine where we accompanied the groom from Jamshedpur to Bokaro via Purulia and when faced with a sudden emergency, we could not make any kind of call until we had actually reached our destination. This of course has changed beyond recognition. First, thanks to private players and wireless technology, getting a phone in India is just one KYC compliance away. Then you have VoIP technology like WhatsApp and Google Voice and when this is coupled to free WiFi services available at each and every hotel and restaurant in Europe, we were in constant touch with friends and family at virtually no cost. Consumer goods, currency controls and communications -- ever since the heady days since 1991, all this changed for the better in India, but what has not? Many things, including our attitude towards corruption and criminals in public life but perhaps what is most obvious is India’s travel and transport infrastructure. While private airlines and app-based cabs cater to the requirements of the well heeled traveller, the common man is still at the mercy of inadequate and overcrowded public transport systems. In my current visit to Europe nothing showed this up more than the usage of trams in inner city transport. Calcutta has a history of trams going back to 1902 and has the oldest running electric trams in Asia. 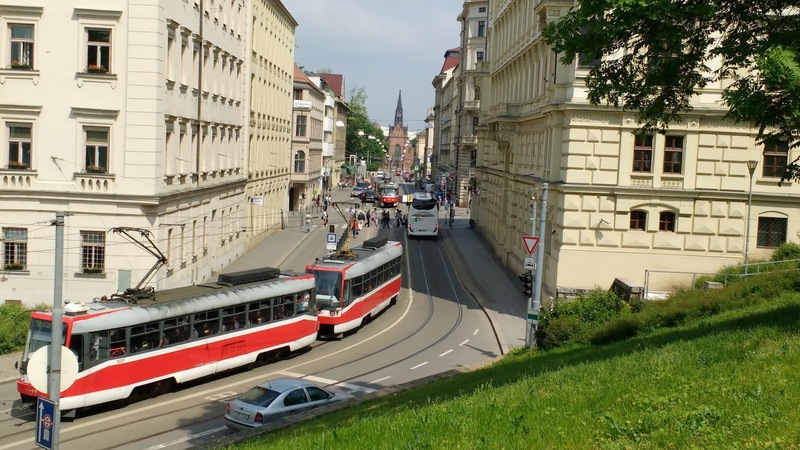 But thanks to a combination of unfortunate incidents, including but not limited to the destruction of a large number of rolling stock by the communists in the 1960s, the tram system is gasping for breath. Unimaginative planning, incompetent operations, venal politics and inevitable corruption has come together to destroy an elegant, inexpensive and non-polluting form of transportation. As a big fan of trams in Calcutta, I have often been told that trams are obsolete and are an anachronism in a modern city. 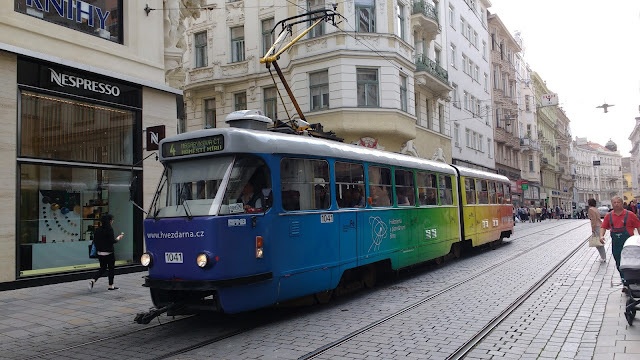 But this year in city after city, in Berlin, Warsaw, Krakow, Brno, Budapest, Vienna and Prague we saw how modern and sophisticated trams have been integrated with buses and even river boats to create an affordable and efficient public transport system. Why can we not build the roads and railways that this country so desperately needs? What is lacking in India is neither technology nor capital but the ability, or perhaps the willingness, to put things together and craft an elegant solution that addresses basic infrastructural requirements. The economic reforms of 1991 may have uncorked the bottle of stifling socialism and released the genie but the genie is yet to master the magic that will create the right management structures not only for transportation but also for schools, hospitals, municipalities, courts of law, law enforcement, tax collection and in fact for the entire infrastructure of governance and public services. The reforms of 1991 might have vindicated my 1989 decision to return to India because in purely economic terms, India today offers opportunities to achieve and maintain a standard of living that is comparable to what was possible in the United States. But what the reforms have left incomplete is the corresponding changes in governance procedures. With people and their mindset remaining the same, the only way to upgrade this infrastructure of governance is perhaps to reduce the discretionary role of humans and move over to a more systems driven approach to governance. As argued by this author in the May 2015 issue of this magazine, we need to leverage technology and modern management techniques to the hilt and use them to overcome deficiencies caused by people. Unless this happens and it happens very quickly, future generations of Indians will once again think of India as not a good place to go, or even return, to but perhaps just a great place to have come from. And till then, it is only two cheers for economic liberalisation!